Obviously the main reason for most guys coming to Bangkok aren’t the spicy street food restaurants or visiting the jasper ahh emerald Buddha in the Grand Palace. It might be on most people’s to do list but what we are rather here for are Thai girls and the world’s inarguably most exciting nightlife. So why bother booking a hotel in the old town just to be close to the main sights when you can easily see them all in one day but then probably want to go out partying every single night? Makes sense to book a hotel that’s in the city center and ideally within walking distance to Bangkok’s best nightlife areas. Speaking about the Old Town area, sure there are a couple of nightclubs in Khaosan (The Club, Gulliver’s, 999 West) but these are rather bigger bars with louder music and not really what you’d normally expect from a typical nightclub (The Club being the only exception). If you want to party well the area to stay is Nana, or alternatively neighboring Asoke or Thong Lor. Below are 5 of the best nightlife hotels in Bangkok. I’ve also included one near RCA and Ratchada Soi 4, which is the favorite nightlife area for young Bangkokians. Nana isn’t only home to the most famous red light district in town (Nana Plaza in Sukhumvit Soi 4), but also some of Bangkok’s most popular nightclubs such as Levels, Q Bar and Insanity and they’re all located in the same street: Sukhumvit Soi 11. 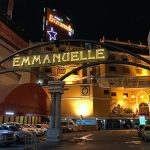 One of the numerous hotels that stand out in the strip is Le Fenix, a futuristic boutique hotel with excellent value rooms, throughout calming interior design, elegant culinary options and one of the most popular rooftop bars in town called NEST. Rooms tend to get fully booked very quickly especially during the high season (November-February), so check their availability and rates by clicking the link below. 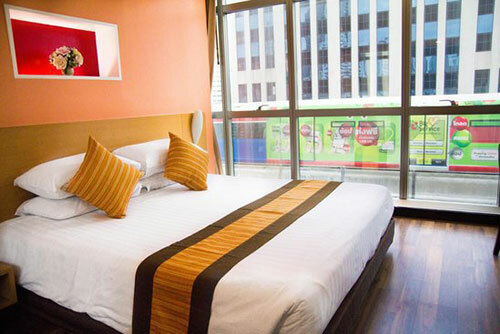 Located right on Sukhumvit Road 2 mins walk to both the Nana BTS Station and Sukhumvit Soi 11, the Ever Rich Hotel features elegantly decorated guest rooms and is well known for its great service and contemporary amenities. There’s free WIFI, pretty standard nowadays in Bangkok and what’s also quite standard is when you bring a girl from the club back to your room she will be asked to leave her Thai ID card at reception. 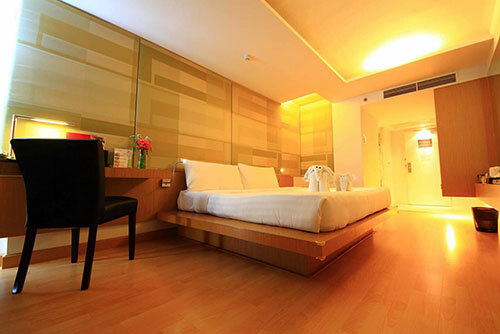 Room rates in this three star hotel start from as low as 1,200 Baht a night – even during high season. If you don’t believe it just click the following link and find out by yourself. Thonglor has some of the most fancy, upscale or even Hi-So nightclubs in Bangkok, such as Funky Villa, Muse Club and Clouds. 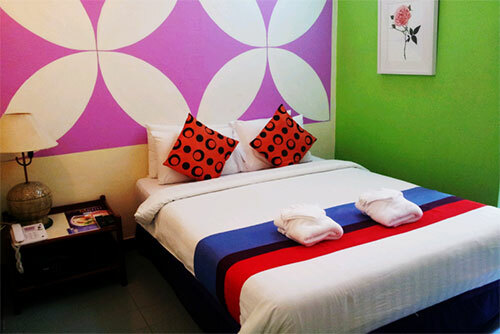 One of the best value-for-money options in this area is the Sawasdee Sukhumvit Inn, rates starting from 800 Baht for their standard double rooms. It’s situated on Sukhumvit Soi 57 and just 5 minutes walk to the Thonglor Sky Train Station which gives you easy access to get all around town – and the Nana area where more clubs can be found is just 3 stations away. All 44 rooms are well equipped featuring air-conditioning, king size bed, LED TV, a safety deposit box and free wireless internet. 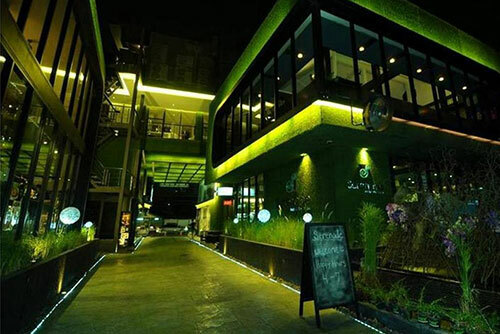 The Grass Thonglor is located a few hundred meters down Soi Thonglor and that means even though it’s further away from the Thong Lor BTS Skytrain station, it’s much closer to the area’s nightclubs as they’re all within easy walking distance. The concept of this excellent boutique hotel is clear: A place to relax and bare your feet on the velvety green grass under tree shades while being surrounded by fine shops, restaurants, bars and nightclubs. The Grass has 42 well appointed one-bedrooms as well as spacious studios all fully furnished with all the amenities you need for your trip including free WIFI. There may be dozens of new condominium buildings built these days all around RCA, but the hotel options in this area are far more limited. 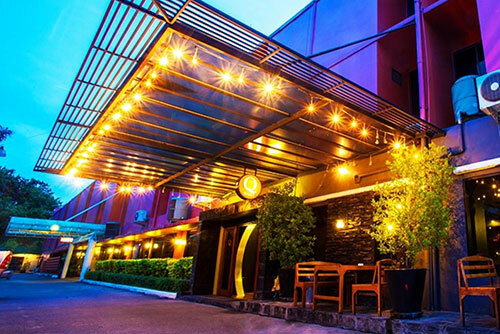 In fact, there is only one hotel which is within five minutes walking distance or 200 meters proximity of the local Thai’s favorite nightlife strip: The Q Hotel Bangkok, a three star hotel with exceptional value-for-money deals starting from 900 Baht a night for their “Superior Double Bed” rooms. The closest public transport is the Phetchaburi MRT station which takes you directly to popular places like Chatuchak Market, Patpong or Hua Lamphong Railway Station. 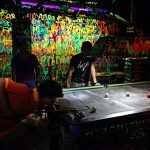 If you’re still undecided which area to stay in, you might find my overview to Bangkok’s Best Nightlife Areas useful.